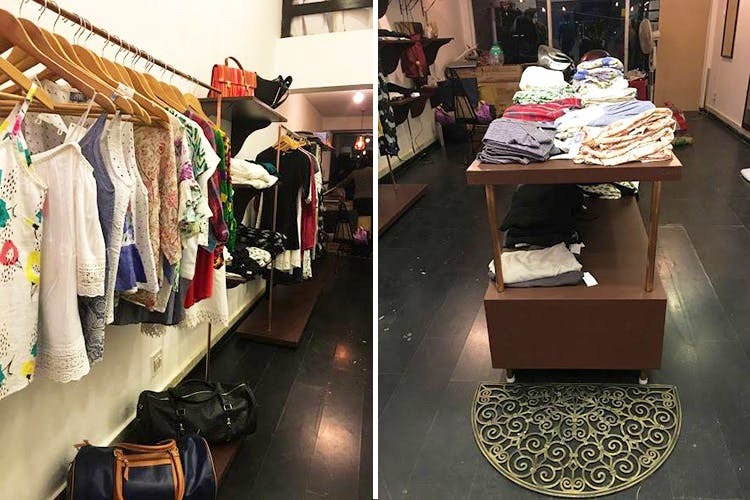 Head to Studio Y, a concept store in Safina Plaza for some #ootd-worthy clothes, accessories, decor and stationery without going #ott on your budget. Studio Y houses a number of indie brands that you just won’t get enough of. Check out Summer Love for those everyday summer clothes like cold-shouldered tops and shirt dresses, Tressesory and Chotee for adorable handmade hair accessories, Mug Aur Mooch for quirky handcrafted stationery and Linen Fiesta for gorgeous linen apparel. The store is super cute and as soon as you walk in, you’ll love the vibe it gives off. With wooden fixtures, a quirky window display with neon coloured cubes and a mannequin they call Shiela, Studio Y will give you all the good-day feels. Nail the Boho-Chic look with hair feathers and dreamcatcher headchains from Tressesory, and keep your eyes peeled for Chotee’s cat hairbands. Some brands, like Summer Love, will also alter the clothes to your size if you can’t find one that fits you. No, they don’t entertain design alterations, but why would you want that? Everything at Studio Y is totes adorbs and we’re here to testify!